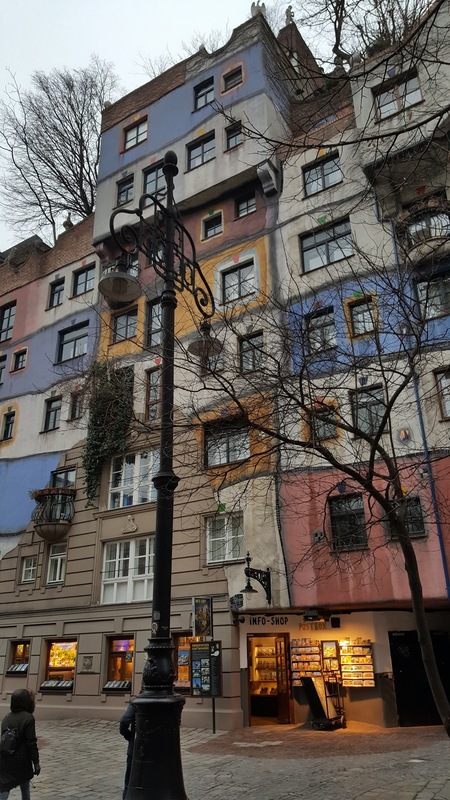 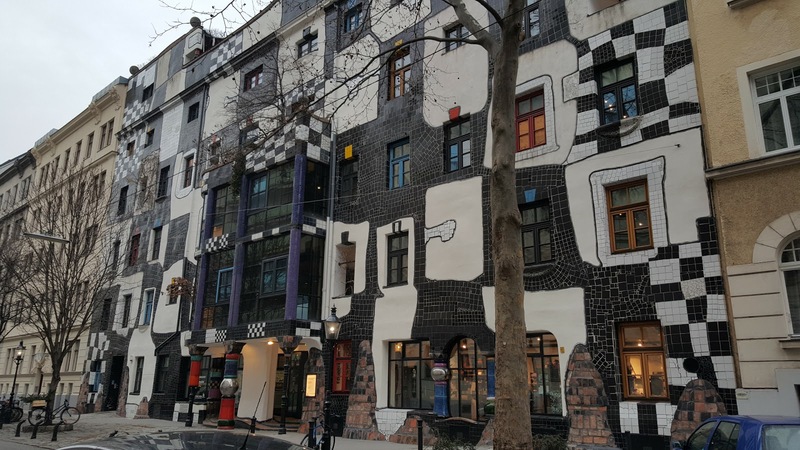 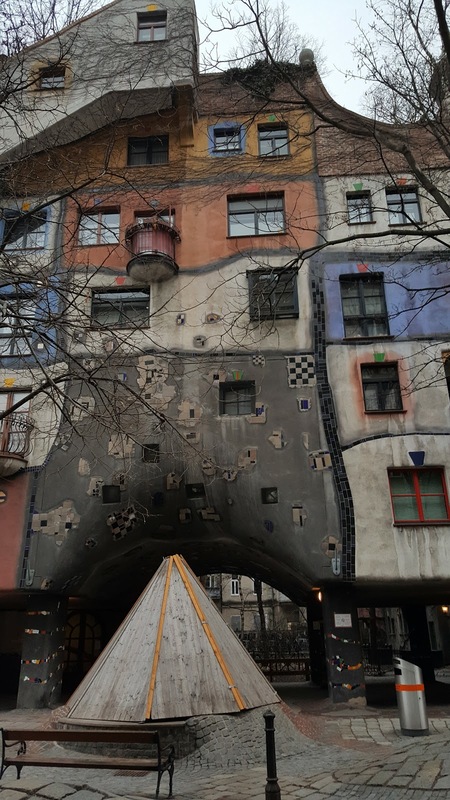 Continuing on our Viennese mini break next on the tourist tick list is the Kunst House and Hundertwasserhaus. 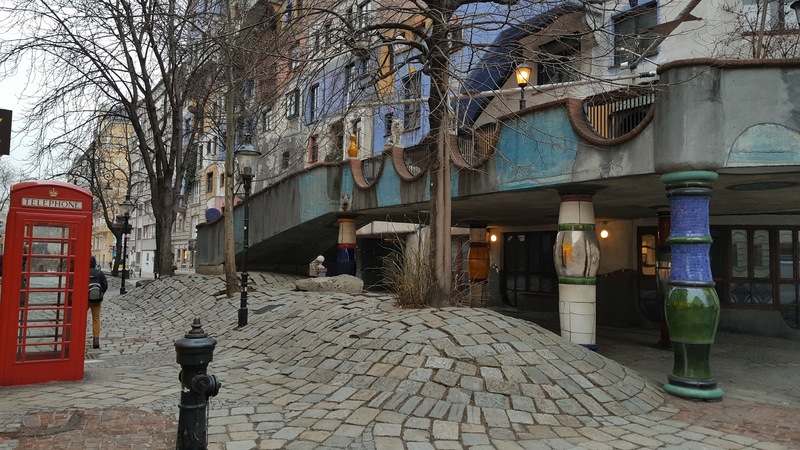 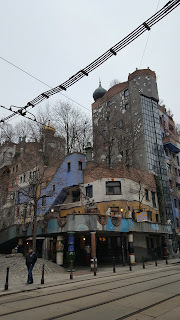 Designed by artist Friedensreich Hundertwasser one building is a museum and the other is residential, both houses are completely and utterly bonkers. 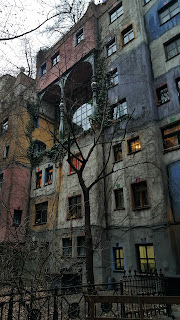 We decided to visit the museum first as we had heard that there was a photography exhibition currently exhibiting and I love my photography. Where on earth do I start??? 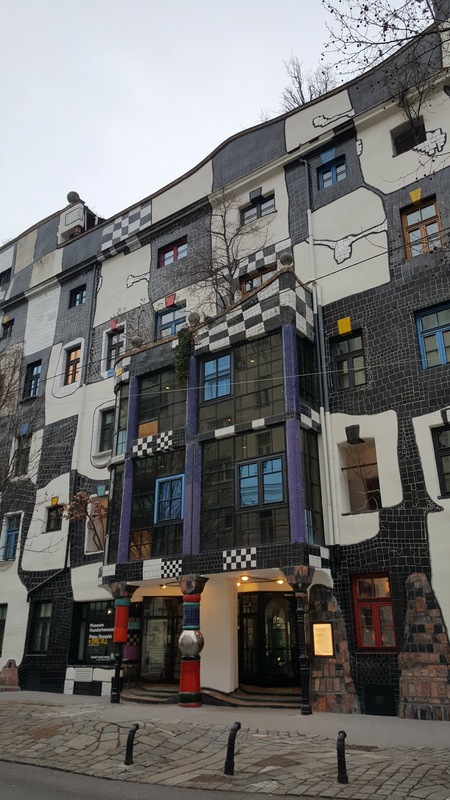 The building was bizarre, quirky and totally random. 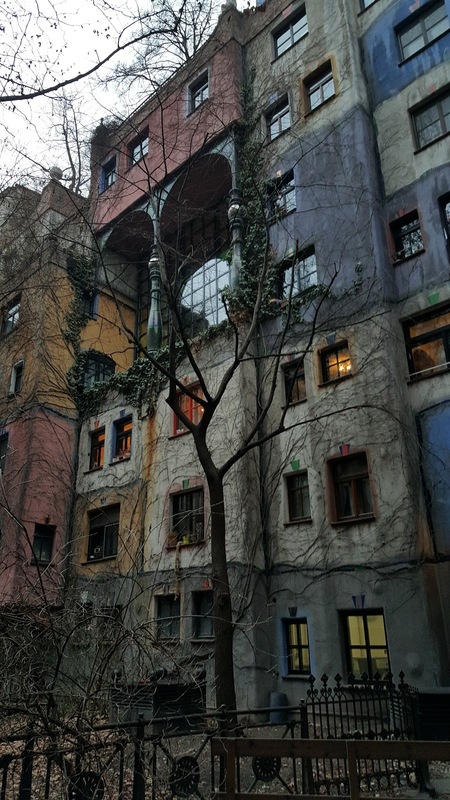 Once inside the museum we were fascinated by the way the building was just completely and utterly bonkers. 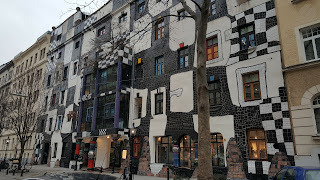 My partner works at an architecture practise in Bodmin Cornwall so he was interested in the building but sadly the museum was just too random for us. I just didn't connect with the photography on display and the museum of work was neither of our cup of tea. 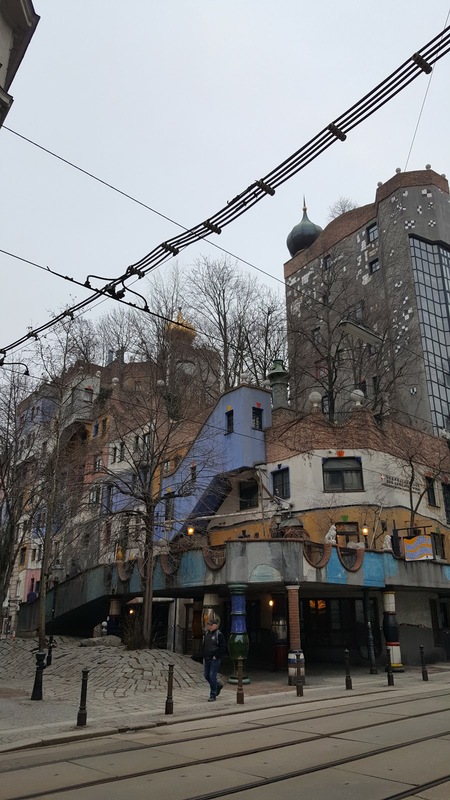 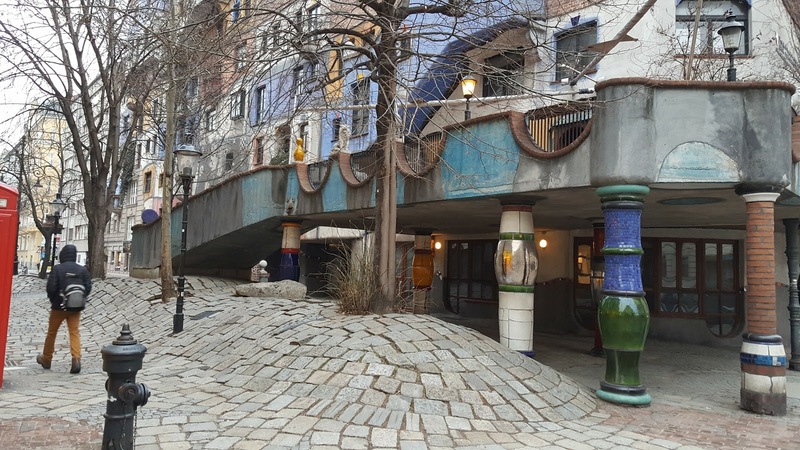 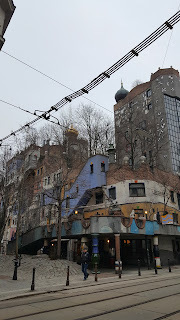 We then headed on a short walk to the next building inspired by Hundertwasser and we're equally perplexed by the bizarre nature of these buildings. 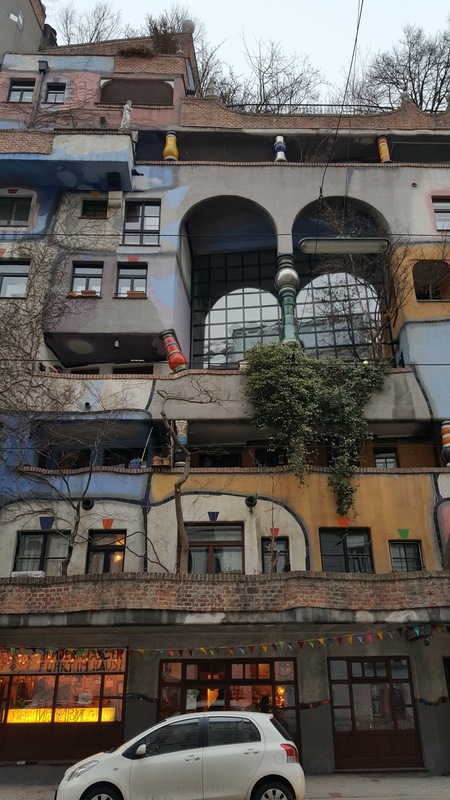 They are a great spectacle to see and I've definitely never seen any buildings like it before and worth the trip if you are in Vienna. 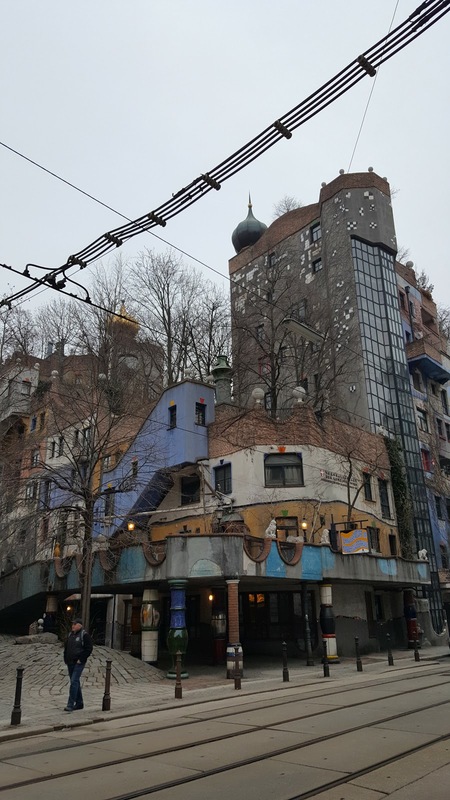 I wouldn't say i particularly liked them or think that they are beautiful or would want to live in one of the properties but I can appreciate how totally and utterly bonkers the buildings are and that in itself is pretty impressive. Read more about my Vienna trip including a ride on the iconic Ferris wheel in the Prater Park and going up Vienna's tallest viewing tower at the Donautrum tower. 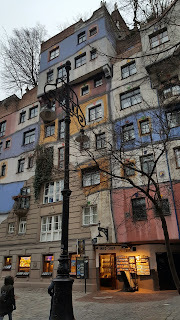 Visit my blog again soon to read about how to make traditional Viennese strudel and finally getting to meet the gorgeous panda bears!